I learned to downhill ski in Arizona. Yes, there’s snow in Arizona – it’s up north. 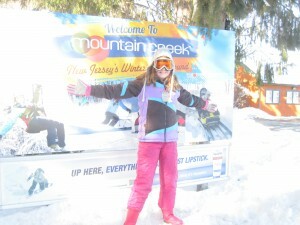 I learned at Snowbowl in Flagstaff (of Route 66 fame) – with my family. We still have a lot of laughs over those early skiing days. We took a family lesson, and my father tried to correct us kids, showing us what to do, even though we had an instructor there. Let me add that my father was also a beginner, with no more experience than us. We soon switched to separate lessons. And we finally learned how to get three of us off the lift without falling into a pile. After college I moved to California and was fortunate to have Lake Tahoe relatively close, spending many a ski weekend with coworkers and friends, and eventually my husband – at the various mountains there. As I posted earlier this week, we went ziplining at Mountain Creek Resort in Vernon, New Jersey. 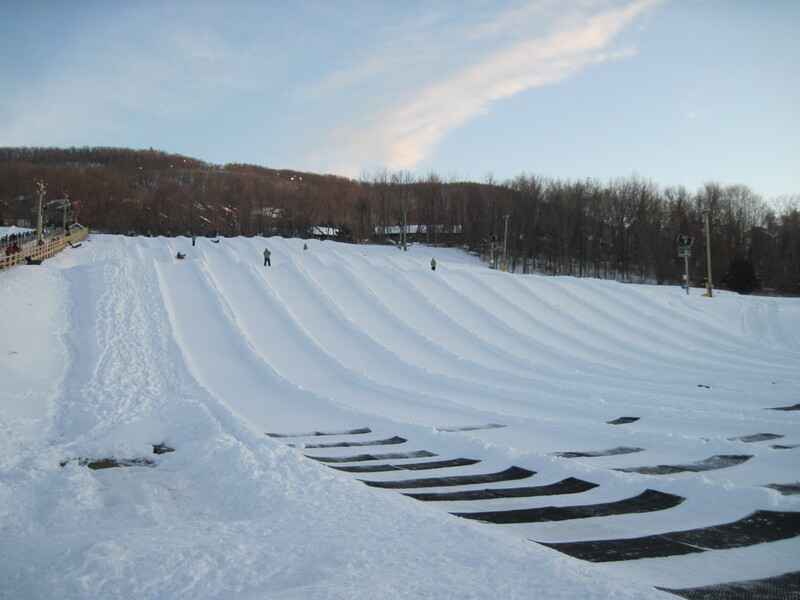 As part of the package, we also went tubing at Mountain Creek. Last time we went tubing was probably 3 years ago, so we were quite excited to go. 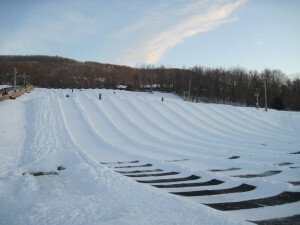 Mountain Creek apparently has the largest tubing space in the United States, if all 30 lanes are open. They weren’t all open when we were there (I think I counted 15 open, but don’t hold me to that). You book a 2 hour window for tubing. Reservations are highly recommended because apparently they sell out. But if you make a reservation and show up late, you still only get your reserved 2 hours. Just so you know. When I told my husband we were going ziplining, he said “In WINTER? Don’t they offer it in summer?” I started having second thoughts, thinking about the cold wind in our faces and the waiting time in the snow. But it was a little late to cancel. 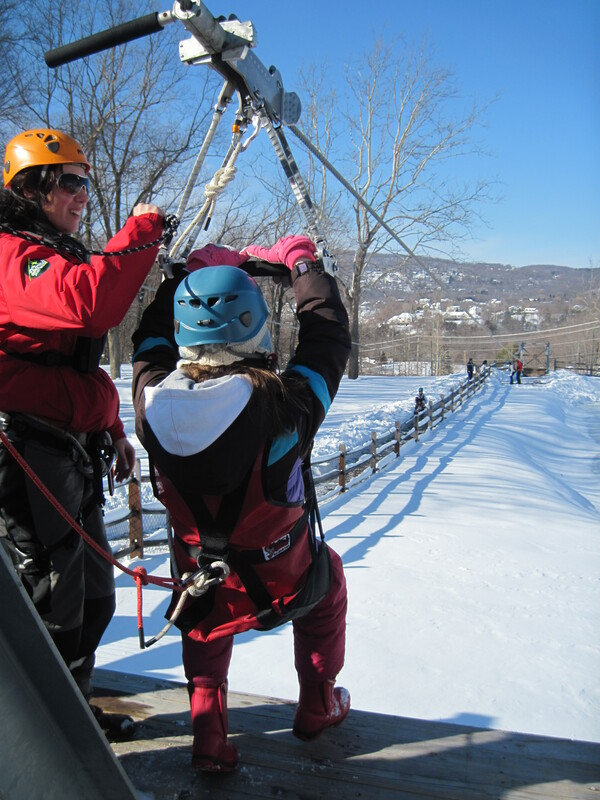 At the worst, I figured we’d have something to laugh about in our holiday letter -how stupid were we to zipline in the winter? We arrived at the Zoom Zipline office at Mountain Creek’s Cobblestone Village (across the street from the Red Tail Lodge) at our starting time. 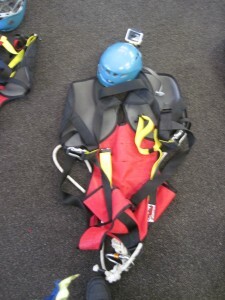 Inside they had waivers to sign and the harnesses and helmets laid out. They helped us put them on and adjust them, going over a few rules. 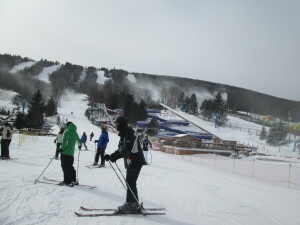 We headed over the pedestrian bridge to the right of the Cab Ride (the lift at the lodge base). The first zip line was a practice one, low to the ground and only 200 feet long. We learned about the correct flying position (seated in our harness, legs straight out, hands wherever you want them) and the landing position (knees pulled in to the chest, hands on the bar above) and we all had a turn. There were 13 of us, so it took awhile. It’s been almost 2 years since the kids learned to ski at Vermont’s Smuggler’s Notch. We were worried they would forget everything. 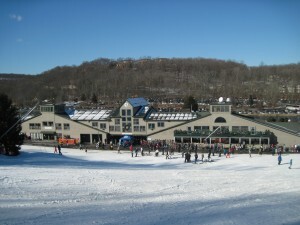 So we planned a day trip over the MLK holiday weekend to Shawnee Mountain in Pennsylvania, which was close enough for a day trip and offered plenty of beginner-friendly hills. We were surprised how much the kids improved in that one day, and we were impressed with Shawnee. 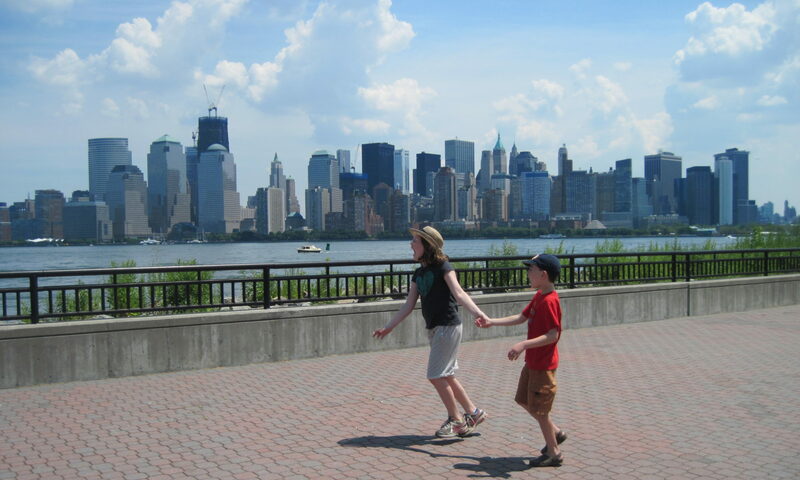 When we found out the kids had President’s Day Week off, we started looking into vacations. The kids hadn’t yet learned to ski properly (a two hour lesson three years ago didn’t count). 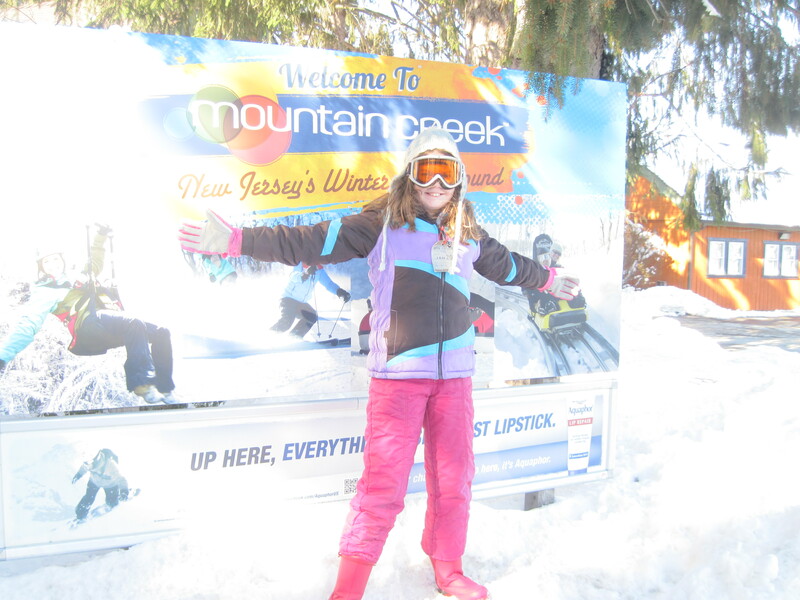 We figured they should learn to ski at a place specializing in teaching kids. 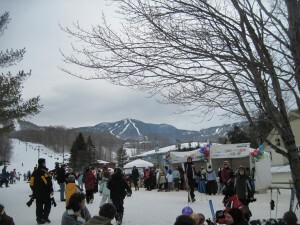 And after a lot of research, we booked our vacation at Smuggler’s Notch in Vermont. We don’t know the East Coast resorts very well, but this one was highly rated as both a family resort and a great place to learn to ski. I’ll cover all that! Bottom line – we had a great time and the kids learned to ski. There was plenty to do off the slope, and on. The best way to sum up the resort is that it’s like a cruise on land. Or a quasi all-inclusive (lots of free activities, pay for your own food and lessons).